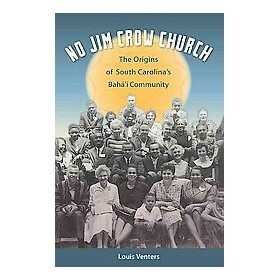 In No Jim Crow Church: The Origins of South Carolina’s Bahá’í Community (University Press of Florida, 2015), Louis Venters recounts the unlikely emergence of a cohesive interracial fellowship in South Carolina, uncovering the origins of what is today the state’s largest religious minority. In the midst of the extraordinarily hostile environment of Jim Crow segregation and violence, white and black Bahá’ís in South Carolina took great personal risk to make spaces for genuine friendship, cooperation, and shared identity across the color line, coming to think of themselves as one people—equal members of an emerging spiritual commonwealth that spanned the globe. In this presentation, Venters presents highlights from this unusual story and explores its relevance for contemporary America. 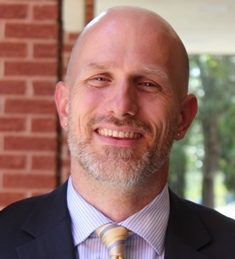 Louis Venters, Ph.D., is an associate professor of history at Francis Marion University and a consultant in the fields of historic preservation and cultural resource management. The author or co-author of several site studies, public history reports, and exhibits, he currently serves as a member of the South Carolina African American Heritage Commission and of the board of directors of the Palmetto Trust for Historic Preservation. His first book, No Jim Crow Church: The Origins of South Carolina’s Bahá’í Community (2015), has just been released in paperback by the University Press of Florida, and he is at work on a short, copiously illustrated companion volume under contract with the History Press. He blogs on issues related to race, religion, history, and culture at www.louisventers.com, and some of his writing has appeared at www.goodmenproject.com and www.medium.com. A South Carolina native, he first heard of the Bahá’í Faith on Radio Bahá’í WLGI and enrolled as a young teenager. Since then he has lived and traveled extensively in Africa, the Americas, and Europe and served the Bahá’í community in a variety of capacities. He lives in Florence, South Carolina, with his wife, sons, and extended family. Review of No Jim Crow Church, by Robert Stockman.